All colors (except Black and White) are available with either a Black or White Logo. Represent, when you are out on the town with The Glides Mens Logo T-Shirt. Pre-shrunk 100% cotton jersey knit 5.3 ounce t-shirt. Double-needle stitched sleeve and bottom hems. Quarter-turned to eliminate center crease. 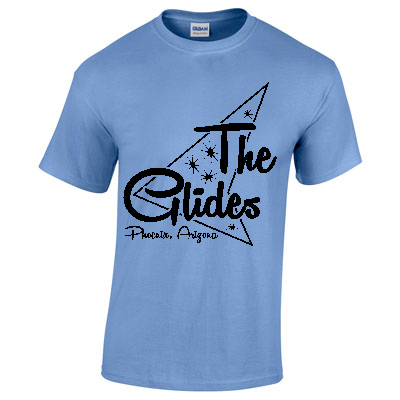 Seamless double-needle collar. 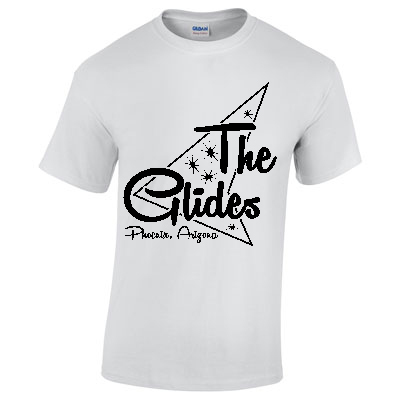 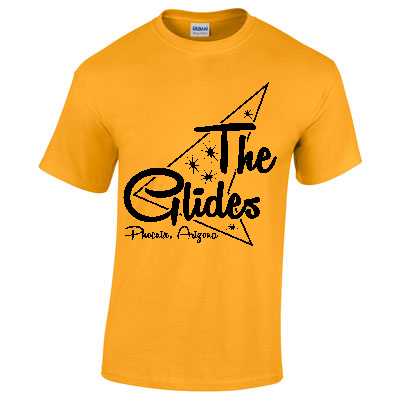 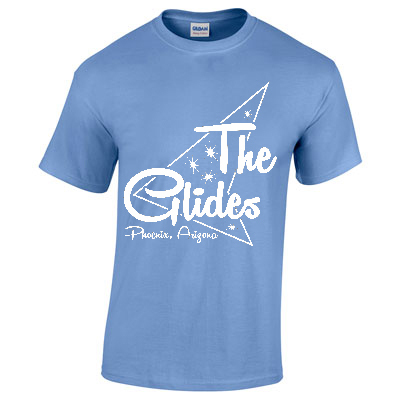 Wear it at work, wear it to the bar, wear it anywhere, because “It’s Good To Be A Glide”. Love my Glides shirt! I can show off this great band in comfort!